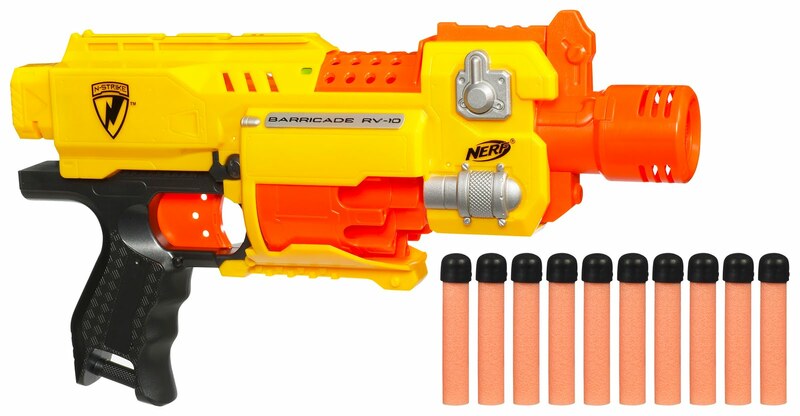 Word from Nerf finally happened, and although SG and Kevinericon broke the news months ago, I’m finally allowed to discuss and comment on the NEW NERF BARRICADE REV-10 BLASTER! So the word is it’s flywheel, but suprisingly good for a flywheel! I’m going to reserve judgment on it until I have one in each hand (yes, I’m going to dual-wield) but until I have one that’s all I can do. I’m excited for this blaster, as it enables me to not need both hands to operate the blaster. More when I finally get one!